Our product range includes a wide range of laminated satin fabric. 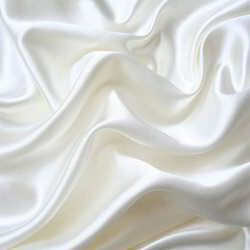 We are an eminent organization that is engaged in manufacturing and supplying high quality Laminated Satin Fabric. The offered range eliminates reflection while maintaining color contrast and detail. Our range has good durability with inbuilt UV inhibitors. All these products are applicable in signages, posters and photographs. Looking for Laminated Fabric ?